Last month, New Jersey trio Screaming Females had to cancel their fall tour with Garbage due to frontwoman Marissa Paternoster experiencing "severe chronic pains." 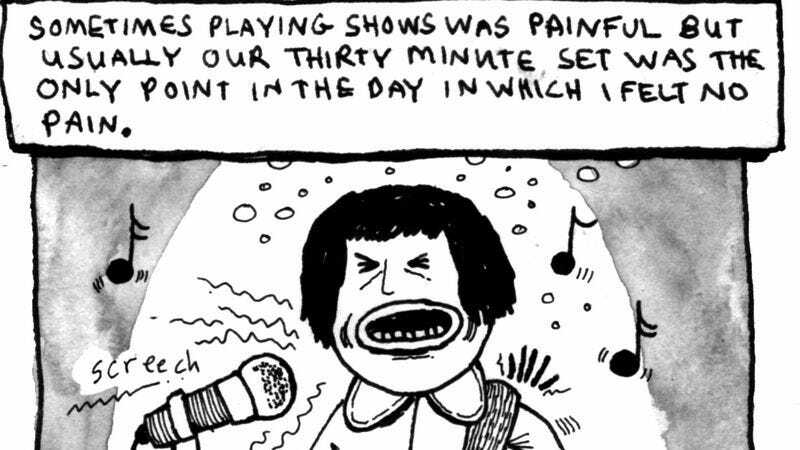 After time to rest and get a diagnosis, Paternoster decided to create a comic strip on the band's blog to document her difficult experiences. In the comic, she discusses seeing acupuncturists, chiropractors, herbalists, and other specialists without getting an official diagnosis. Even though her chiropractor thinks she has something called "Thoracic Outlet Syndrome," there are no clinical tests to know for sure. Unfortunately for Screaming Females, this means that there is nothing to do but wait. The band won't reschedule its cancelled tour dates or plan any new recordings until Paternoster feels healthy. While wishing Paternoster a speedy recovery, relive her band's A.V. Undercover where she performed a rockin' rendition of Sheryl Crow's "If It Makes You Happy."